"In Yoga we are simply remembering who we are." Welcome to Nurture Yoga Therapy ! 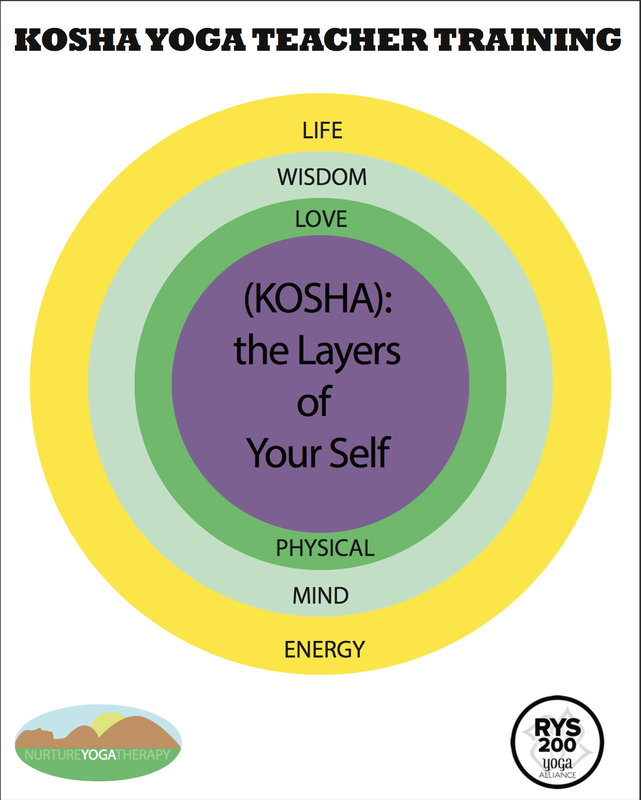 Well....in everything I teach we essentially go through the frame work called "KOSHAS" which is a sanskrit word for the layers of ourselves: 1. PHYSICAL BODY. 2. MENTAL BODY. 3. ENERGY BODY. 4. BLISS BODY. 5.WISDOM BODY. 6.LIFE BODY. Through education and self exploration students are able to understand and more importantly experience themselves through these KOSHAS and see as they develop greater awareness in each body, they are able to live in a place of immersion with life itself. "The depth of your practice = The depth of your teaching"
Prenatal and Postnatal Yoga Therapy is a specialized one on one yoga session for mothers to create and maintain balance before and after the birth. Addressing physical, mental and emotional as a whole. Individual Yoga Training Certification Is a one on one yoga certification program for teachers and professionals in related fields to learn how to teach and or integrate yoga as a way of deepening their life experience. Exploring ancient practices of Self Awareness gives us an opportunity to teach and share with others. Kosha Yoga Teacher Training is a 200 hour yoga certification program registered with Yoga Alliance. "Kosha" refers to the "sheath" of the Self, in this program we will discover the Self through the physical, mental, energetic, intelligence and love which are the doorways to union with existence. Mom and Baby Yoga Teacher Training Become certified to confidently and adequately teach Mom & Baby Yoga. Receive essential tools, safe techniques and knowledge to address the physical, mental and spiritual needs of mom and baby. ​Couples Birthing Workshop is a four hour workshop for mother, baby and partner to feel adequately prepared for the birthing process. Learning the natural ways to encourage the birth of your baby as well as becoming educated about your medical options. ​Mom and Baby Yoga is a group class where baby and parent are both the students. Practicing baby postures, infant massage, voice vibration and rhythmical movements. Mother's practice relaxation, strengthening, and emotional balance. ​Prenatal Yoga are group classes to prepare you for your birth and to create optimal gestation for your baby, through the power of presence, posture, breathing and yoga of sound. Jayme’s mom and baby yoga/meditation class was literally a lifesaver for me; it allowed me to calm down when I was feeling overwhelmed and anxious. As a first time mum, I was physically and emotionally exhausted, I desperately wanted to “get it right”. Jayme taught me how to go into a calm place and reconnect with myself. I soon started to feel at peace, and very connected to my baby. She also provided me with techniques to keep me focused during stressful times at home, thereby saving my sanity. I always look forward to Jayme's class, she continues to impress me for many reasons. She is so warm, so caring, so helpful, and so knowledgeable.